Artem spotted it this morning: in his Google Home app, his two SHIELD TVs appear in the Home control tab, under the Assistant section. Tapping on them lets him assign them to a room. Technically, that should allow him to turn on and off the TV along with the lights for example. That's one advantage I can think of. Although I have a SHIELD TV with Assistant, I don't see this option in my Home app, so the option might either be still rolling out ... or it could be that it's not showing for me because I've disabled always-on listening on my SHIELD's controller? I don't know. And since we haven't received any other tips about it, we can only go based on Artem's screenshot. 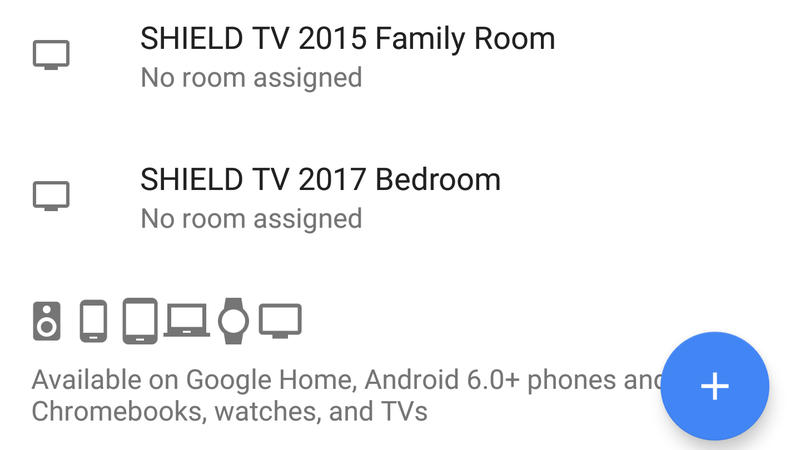 We know the SHIELD TV will be groupable, but odds are, since this section is for Assistant devices, that any other Android TV with Assistant could show up in here, like the recently updated Nexus Player and the Sony TVs with Assistant. Chromecasts likely won't and will remain under the Devices section. Edit: As pointed out in the comments, Chromecast TVs and Audio should show up there as well, and have been for months, you may need to reset your preferences though first. 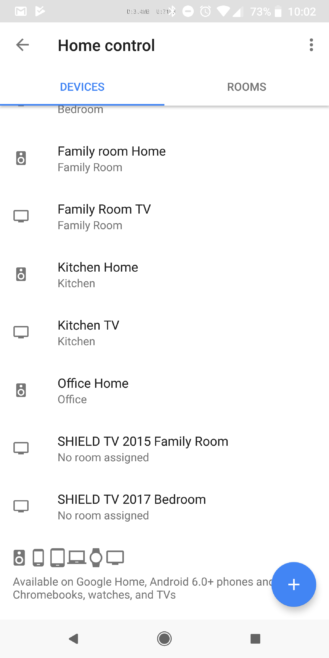 Let us know if you're seeing the option to assign rooms to your TVs too, and if so which Android TV that is.